PORTEmaus: Nerdlert #6 AVENGERS ASSEMBLE! No doubt Christopher Nolan and company will blow us all away with The Dark Knight Rises, Marvel is at the other end of comic book spectrum with quite possibly the most ambitious and risky film they have ever embarked upon. 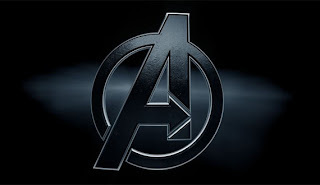 The Avengers will hopefully be huge from a money making perspective, but it carries with it the burden of a whole universe coming together to create one coherent narrative in which the biggest heroes must share the screen. Needless to say this could FAIL miserably or it could be one of the most successful films of all time. Much like my article on TDKR I want to take a look at what we know about the film, but unlike my other article I want to talk about what possibly could happen in this film based off the bits of information that have been shown to us in the existing Marvel films. So while my other article was based off of what we know for sure this is much more conjecture on my part. 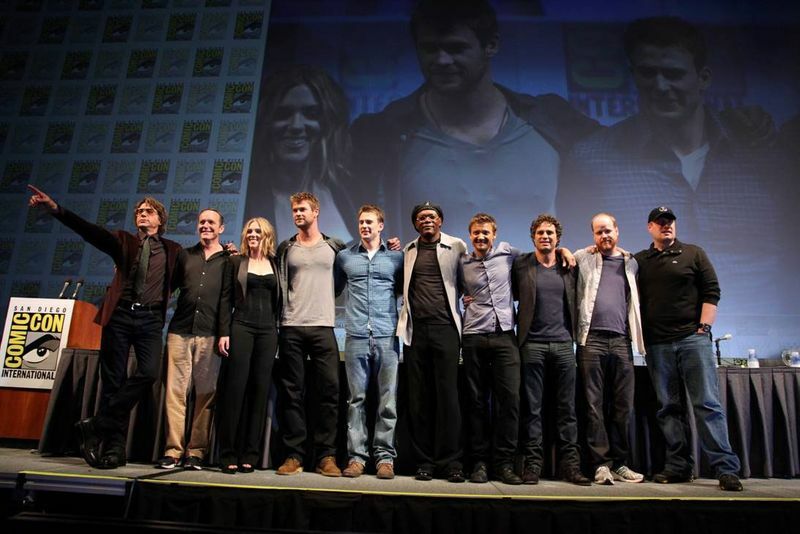 To start with we have Joss Whedon at the helm. A fanboy favorite who sadly has never proven he can release a film or even launch a successful tv series outside of the Buffyverse. I'm excited to have Joss in control, he has a great grasp of ensemble pieces and knows how to make sure each character gets their due. Buffy, Angel, Firefly all managed large casts filled with fully realized characters. This is going to be a great help given the strong personalities of each of our heroes. Joss has done some great work with X-men and the Runaways so dealing with this kind of team dynamic is nothing new to him both on screen and in the written form. Now, up to this point Joss has always dealt with more or less his own creations, here he is dealing with the highest expectations of his career, an amount of pressure that could cause anyone to wallow in mediocrity. As long as Joss stays true to what has made him successful and not let the studio try and push him in whatever direction they feel like we should have a great movie on our hands. first official production photo...I'd say it gives a good idea of who the main Avengers are. We all know Thor, Iron Man, and Captain America are the big three of the Avengers. I'm not going to spend much time on them since you all have seen the movies/ are going to see the movies already. I want to talk about stuff we're not too sure of. The Hulk is the fourth founding member of the Avengers, and from that first production still it looks like he's going to be playing quite a large role in this film. 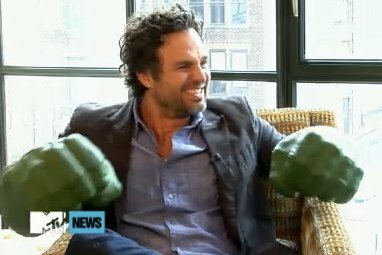 I was pretty sad about Ed Norton being forced out of this role, since I thought he did amazing work in The Incredible Hulk, but Mark Ruffalo stepping in is a welcome addition. Here is what we can pull from the existing films. One, Stark has talked to General Ross about the Avengers helping out with the Hulk as seen at the end of Letterrier's film. Two, Dr. Selvig from Thor used to know Banner as he mentions having a run in with SHIELD after they found out about Banner's Gamma Ray projects and "took him." I'm going to infer from this that the Hulk is added to the team rather reluctantly. It has been rumored that the Hulk was going to be an antagonist of sorts to the Avengers and I can fully see that happening at the beginning of the film, and the rest of the film being about the Hulk coming to terms with his powers and becoming a full fledged Avenger. 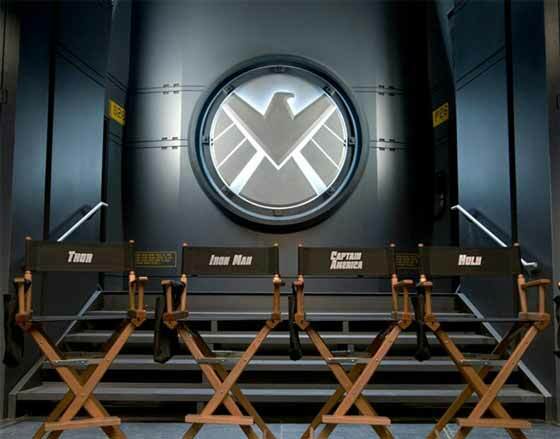 Maria Hill, Black Widow, Hawkeye, are all part of the Avengers as well. Marvel Studios head Kevin Feige said that Black Widow would be the only female Avenger. So Cobie Smulders as Maria Hill will most likely be at Sam Jackson's side for most of the film. This makes sense as Hill only recently has become a more active member of the Avengers in the fallout of SHIELD being dismantled. We all saw Scarlett own the role of Black Widow in Iron Man 2, when it came time for her to show us what Black Widow could do she delivered the goods. I hope she gets a little more screen time in full Black Widow mode than the one scene we saw in Iron Man. We briefly saw Hawkeye at the SHIELD compound erected to protect Mjolnir. 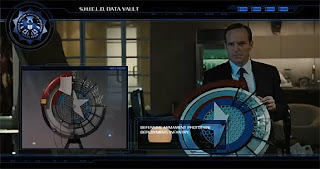 He was already an agent of SHIELD and seemed little more than their go to marksman. This seems to suggest that they are abandoning Hawkeye's past with the other side of the law. My guess is while creating the team Fury decides he needs some of his own men on the team rather than a bunch of superpowered gods and radioactive mutants and Hawkeye and Black Widow fill those roles. 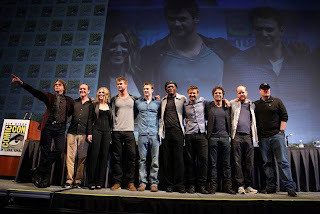 I mentioned that Renner's cameo in Thor was relatively pointless especially for those who have no idea who Hawkeye is. What we do get in those few seconds is Renner fully embracing the cockiness of Hawkeye(or Barton as he's called here). He makes light of Thor dispatching the SHIELD operatives sent after him and makes a quick crack about not wanting to shoot him anymore because he's starting to like Thor. 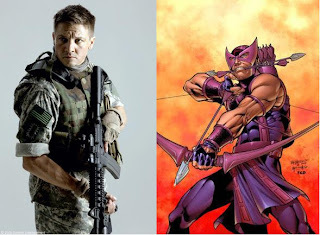 I've said it before and I'll say it again....Renner is perfect casting for Hawkeye. Anyone can play the cocky hotshot but Renner has real talent and can bring the heart and dedication that lies underneath Hawkeye's arrogant exterior. I feel like Clark Gregg's Agent Coulson gets forgotten a lot of the time, but he really is the glue that binds this universe together. Gregg instills Coulson with this G-man for the modern age style that works so well against Jackson's intense and foreboding Nick Fury. He is Fury's ambassador of sorts and seems like it will be his task in the film to unite the Avengers for the first time. My guess is he will essentially act as peacekeeper between the team and be responsible for making sure they act as a team rather than bicker(which I'm positive will be a huge plot point of the film). So that is roughly what we can gather about our team. We know that Cap is going to be frozen and thawed out to join the team so we will have that storyline in motion. 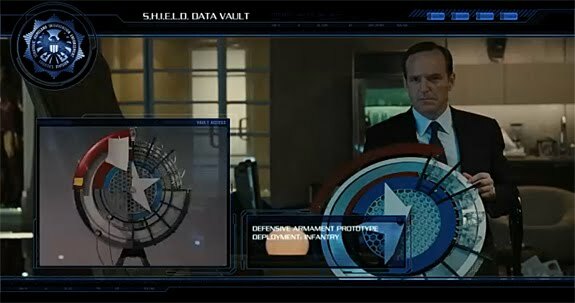 We know that the Avengers will be somewhat affiliated with SHIELD so that places us more in the Ultimates universe than anything. Although the interpretations of Stark and Banner are definitely more in line with the typical Marvel Universe stories. So what about the villains? Loki is back. This has been confirmed by Hiddleston himself and Skarsgaard who we last saw has been under the control of Loki. We know that it will probably have something to do with the cosmic cube. So does this mean the Red Skull will make an appearance, who we already know gets ahold of the cube in Captain America? I am going to guess not. Although I'm sure Weaving rocks as the Red Skull having an assortment of heroes AND an overabundance of villains seems quite a bit to handle in a two hour movie. Besides recent rumors report that Loki uses the cube to bring the Skrulls to earth for some general havoc. This is exactly the kind of world wide disaster that would warrant uniting heroes of this caliber. 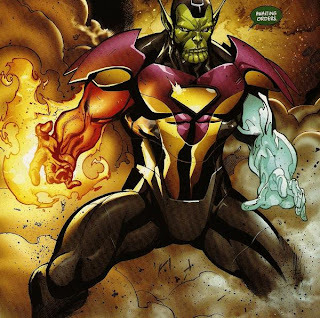 The Skrulls are a race of shape shifting warrior aliens who more often than not are thorns in the sides of everyone in the Marvel universe. If this rumor pans out this could be quite the epic story which I'm sure results in Loki not being able to control the Skrulls and everything getting out of control. If not the Skrulls then what else could Loki have up his sleeve? 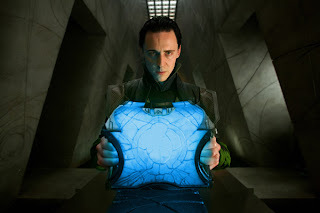 The cosmic cube is pure power capable of doing almost anything, as such the possibilities are endless. That's about all the information we have. I could keep going on and on with more hypothesis but those would really be shots in the dark. We do know that a howling commando Gabe Jones, played by Derek Luke in Captain America, will be in the film. Paul Bettany who seems obsessed with half assed action flicks will once again lend his voice to Jarvis. Gwyneth Paltrow has suggested she'd be up for it if it was only for a quick cameo. Nothing to do now but sit and wait. 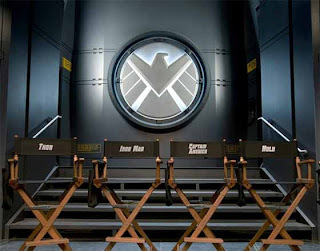 Captain America is the last piece of the set up before we get The Avengers in 2012. Ill be back in a few weeks with a review for that as soon as I check it out. 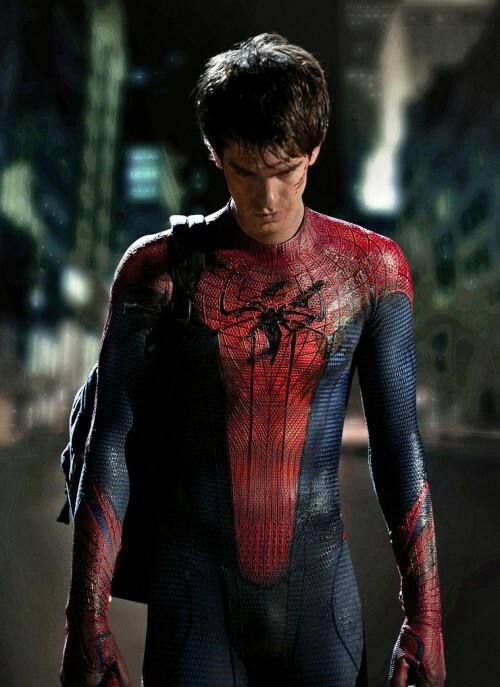 2012 looks like it will be the culmination of years of work for both of the major universes. Let's hope they both deliver. As always be sure to follow us on facebook and BRAND NEW PORTEmaus is now on twitter so follow us @PORTEmaus. One last thought - For how modern these Marvel movies have been...what if they throw in a cameo from Andrew Garfield or Hugh Jackman.....mind hole....BLOWN!